so I am probably going on a 2 week road trip with my family for feb break. 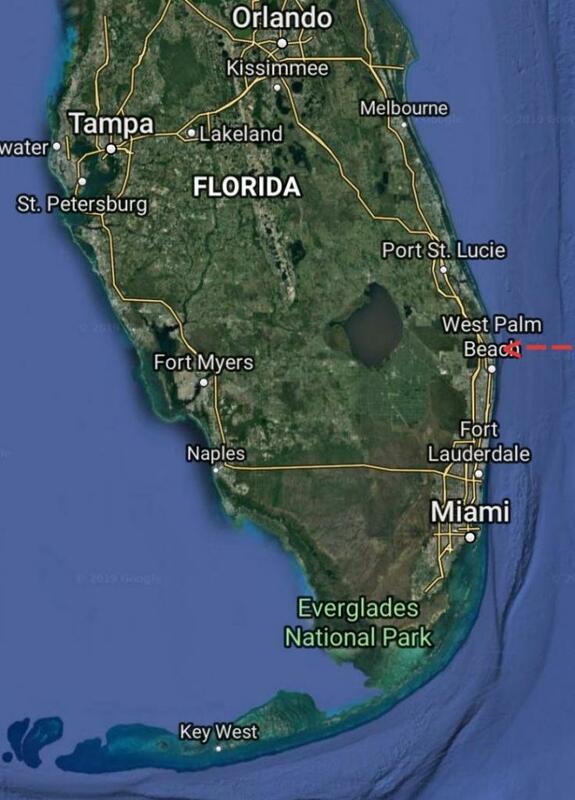 we plan on going down the eastern seaboard and going to Miami, the keys and then the west coast of florida. Im working on trying to go to fairchild on this trip as I have only been to one botanical garden down south (largo). anyways we will also probably stop in Savannah or Tybee island to visit old friends. charleston would also be nice but thats only a possibility at this point. hope to see some of the native key thatch and buccaneer palms in habitat as well as maybe fakahatchee strand. I will post pics once I start seeing palms. hope to maybe bring one home too. anyways wish me luck! Pseudophoenix sargentii may be difficult to see in habitat. Elliott Key is only accessible by boat, and the re-introduced specimens on Long-Key are still somewhat small. Fakahatchee is a good place to see royals in the wild though! I'd recommend a detour off 95 and take A-1A from Melbourne to Vero. Very cool drive with numerous coconuts and large homes. Might as well do A1A from Jupiter going south...nice dunes..tons of palms..not really houses...more like castles...including Mar-A-Lago...the defacto southern WH. Charleston is my favorite mid-sized city in the US so I’d recommend visiting, not for the palms though. For palms it sounds like you already have the right idea. I see you’re 17 so definitely hit up South Beach and you can thank me later. Charleston is super nice. I stayed there for a month on externship this year and I loved the city. I was pretty disappointed by New Orleans, but Charleston blew my expectations out of the water. Thousands of mature coconut palms and lots of other Zone 10B plants. Immediately South of Melbourne Beach, you are in a fully Zone 10B environment. I am only 18. It’s nice to see other people around my age interested in palms. It seems like most people around my age could absolutely care less. 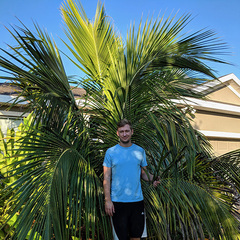 If you’re down in S Fla March 1/2/3 you should stop by Jeff Searle’s extravaganza...see some amazing palm and meet other ‘mildly’ insane palm fanatics...put a face to the names on palmtalk. Actually get off in Hobe sound and go down A1A through Jupiter Island, lush and beautiful with mega homes. Speaking of you young cats (guys), I just got home from Key West this evening after doing our 25th Key West Palm Sale down there. Our dear friend, "like a son" Andre has one of the nicest palm collections in all of Key West. We met him at the 1st annual sale as a 9 year old boy that walked in holding Betrocks Palm book. So 25 years later he's beyond a palm nut like most of us are. So you young guys and gals out there, get interested and stick with it. Your the future!!! Up north, Norfolk has a really nice botanical garden with loads of camellias. Surprising number of outdoor palms for so far north. It will be spring in some of the hardwood forests around the springs. Silver Springs and Ichetucknee Spring have particularly lovely forests with oaks, sugar maples, and other trees of fertile soils. Botanical gardens: Kanapaha (Gainesville), Leu (Orlando), Bok Tower (Lake Wales--it has a generous endowment, so it largely pays its own bills. Admission covers housekeeping and keeping the guests happy and entertained). Marie Selby (Sarasota). This year's theme is Gauguin. Fairchild (of course). Montgomery Botanical Center, though it may be too much effort to make an appointment to visit--it's not a family place. Mounts in West Palm Beach is limited in size but very well designed and maintained. If you are into bonsai, Heathcote in Fort Pierce. Colonial Williamsburg made the NY Times list of 52 places to go in 2019. Eye-opener for me as well. I built the home we live in now back in 1983. My father owned 14 acres down by Orlando International Airport. There were huge Queen palms growing near the lake. With unlimited water, those things were huge. Some were so large, I couldn't get my arms around the trunks. And, the trunks were almost like Royal palms, smooth and gray. You seldom see Queen palms that are so healthy these days. I also moved out of my parents home and only have a balcony right now so I am still the organiser of my parents garden. Palms don't grow that fast over here as in Florida but it is amazing to see how many growth palms in my parents garden have produced under northwest european standards in 14-15 years. Definitely recommend Saint Augustine. It has to be one of my favorite cities in the Southeast. Lots of palms and history there. Think we will be hitting there . we leave tomorow! wish us luck! Florida is a pretty fun place! All of South Florida (to probably anyone who does not live in the state and even some people who live in the state) is like a huge botanical garden! Stay safe as well, once you get into some of the cities in Southeast Florida the driving can be pretty intense at times! If you travel the west coast of FL up from the Keys, keep in mind the Fakahatchee Strand. Also, Naples Botanical Garden is worth a look. 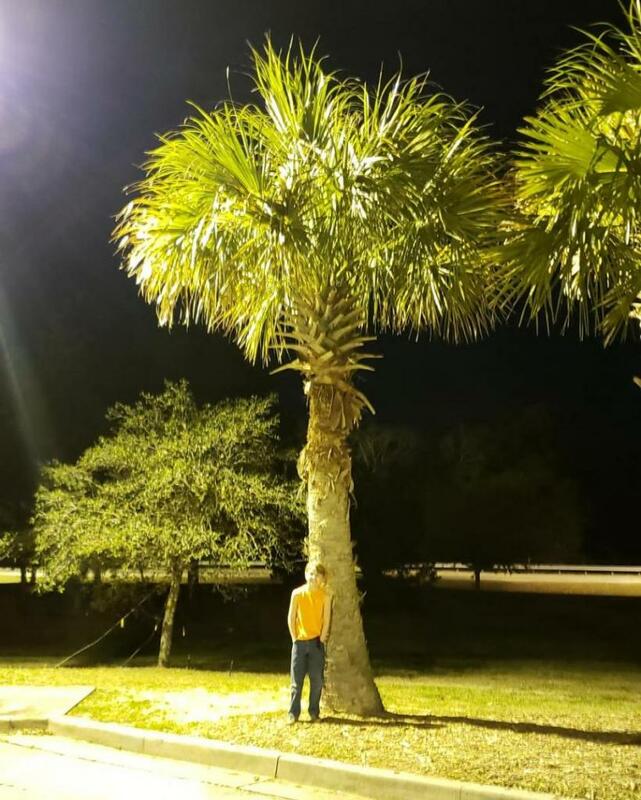 Stopped by the same place that sparked my palm interest back in 2015 with sabal palmetto Old pic vs now with my brother as a height reference. Is your brother catching the palm bug too ? My neck of the woods. 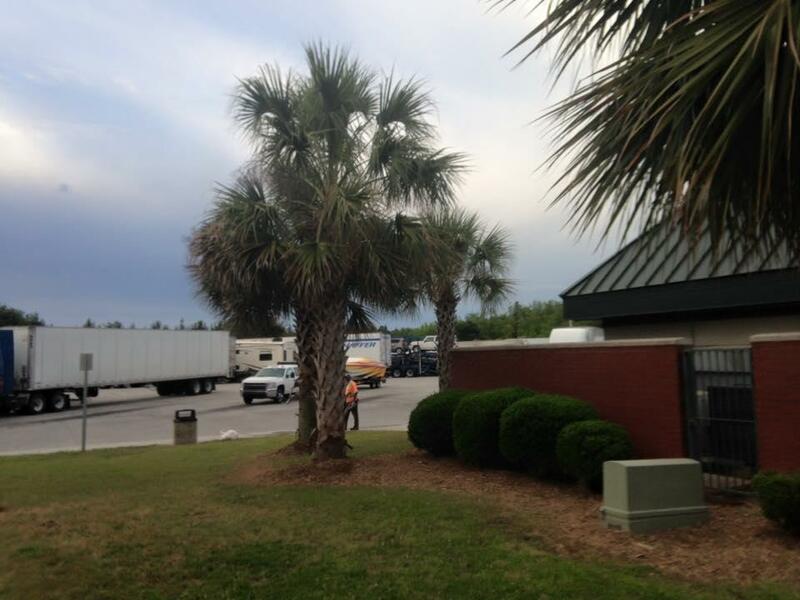 Columbia is loaded with Palmetto's ,butia,and trachy's. Occasionally you see a washington of some flavor as well as a CIDP here and there. Saw lots of common palms in Georgia. Pinto palmetto washy date etc. Also saw some queens and dead ones from 2018 winter. Also a pygmy date palm. Seeing royal and coconut palms now that we are in cocoa beach. Saw some tall sabal palmetto earlier. Welcome to the jungle! Stop by the nursery if your in the area. Especially the weekend of the 1st of March. Drive safe. If you get a chance, drive down Merritt Island on South Tropical Trail (sr 3) and just roll down your windows. Stop by the FIT campus too. 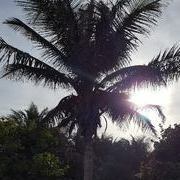 When you get into Palm Beach through, either on I95 or the Turnpike check out the "roadside" plantings of palms. So far I've seen Chambeyronia, Bismarkia, Latania, Hyophorbe, Coccothrinax, Syagrus, Dypsis, Cocos, Copernecia, Acoelorraphe, Areca, Wodyetia, Roystenia & these pictured (not sure). I'm sure their are a few I haven't mentioned. Have fun! Once you get to that little "hump" in Southeast Florida (around West Palm Beach) you'll start to see a lot of crazy plants you definitely won't see anywhere else in the U.S. other than places like Hawaii.